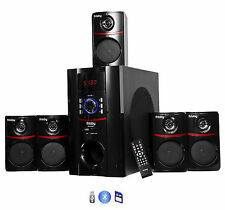 Showing results for "Home theater systems"
eBay Sony Home Theater 5 Speaker System w/Sub 1000W Free Shipping! eBay Sony Home Theater 5 Speaker System w/Sub 850W Free Shipping! eBay Bose CineMate Series II 2.1 Digital Home Theater Speaker System - Free Shipping!